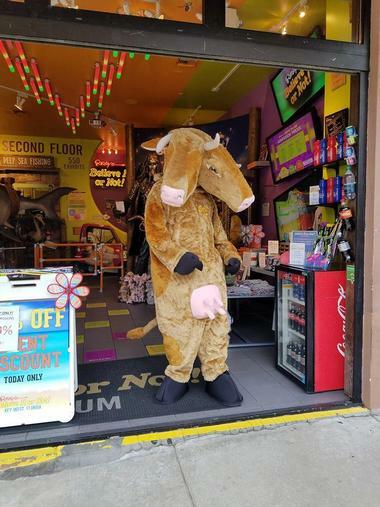 While Key West has plenty to keep the little ones occupied with an array of interesting kid-centric things to see and do. Head to the beach, visit the Eco-Discovery Center, the Key West Shipwreck Museum, the Butterfly & Nature Conservatory and Key West Aquarium. 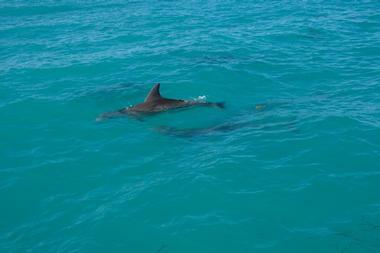 Experience the beauty of Key West with a guided trip around the island with Conch Train Tours. Established in 1958, the Conch Train Tour gives visitors a conch's eye view of the beautiful island with scheduled stops at the top attractions, including Ernest Hemingway’s home and museum, the Key West Butterfly and Nature Conservatory, the Southernmost Point, the Key West Lighthouse, and an array of fine art galleries, shops and restaurants. 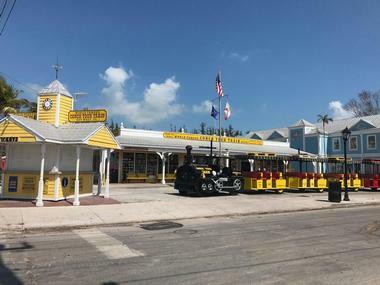 The tour begins at the Front Street Depot and following a loop route through Old Town Key West with stops at Station Depot, Truval Village, and Flagler Station, where guests can hop off to take in the sights of the Historic Key West Seaport. The trip takes around 75 minutes to complete before ending in Mallory Square, and knowledgeable engineers/guides will share a wealth of knowledge about Key West and all the points of interest along the way. The Dry Tortugas National Park is a national park in the Gulf of Mexico that preserves the seven Dry Tortugas islands, which are most isolated of the Florida Keys, as well as Fort Jefferson. Located about 68 miles west of Key West, the park is part of the Everglades & Dry Tortugas Biosphere Reserve and a UNESCO site and boasts beautiful coral reefs that are abundant with sea life, several tropical bird breeding grounds, and legends of shipwrecks and sunken treasures. 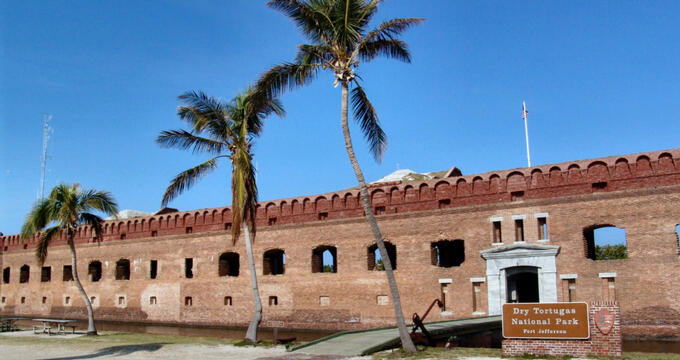 The massive but unfinished fortress of Fort Jefferson is the centerpiece of the park and is the brick masonry structure in the Western Hemisphere. The seven islands of the Dry Tortugas are a unique and undisturbed tropical ecosystem with significant historical artifacts and are only accessible by seaplane. 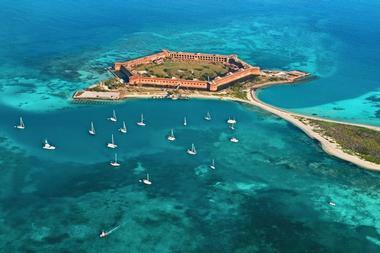 Activities in the Dry Tortugas National Park include swimming, kayaking, saltwater fishing, scuba diving, snorkeling, birdwatching, camping and picnicking. The Florida Keys Eco-Discovery Center is a natural history museum that showcases the native land and marine fauna and flora of the Florida Keys and the surrounding region. With a focus on the animals and plants in the Florida Keys National Marine Sanctuary, the Florida Keys Eco-Discovery Center features 6,000 square feet of interactive exhibits. Exhibits include a 2,500-gallon reef tank that is home to living corals and tropical fish, an underwater video camera used for monitoring the health of a coral reef: a replica of the Aquarius underwater ocean laboratory, and an interactive satellite map of the Keys. Visitors can explore the ecology of Keys' habitats from mangrove shorelines and beach dunes to upland pinelands, hardwood hammocks, seagrass flats, and coral reefs. The Mallory Square Sunset Celebration is a nightly festival and gathering of people to watch the sun set over the Gulf of Mexico in Mallory Square that has been happening for more than 60 years. Beginning two hours before sunset, the Key West Sunset Celebration is open to everyone and features artists, local musicians, clowns, jugglers, magicians, and food vendors, creating a fun, lively atmosphere. 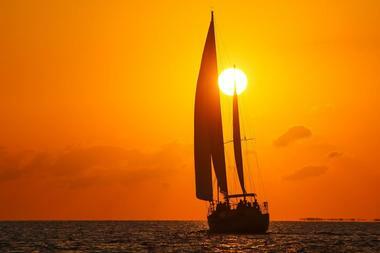 Embodying the spirit and history of Key West, the fusion of friends and talents has captivated locals and tourists alike who flock to the waterfront to partake in this laid-back and relaxed event. 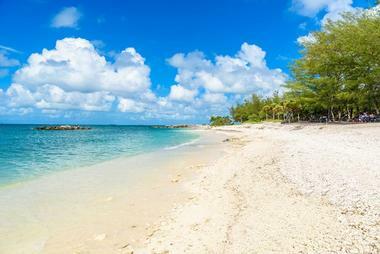 The Fort Zachary Taylor Historic State Park, also known just as Fort Taylor is a state park and National Historic Landmark located near the southern tip of Key West. The 54-acre state park is home to a three-story brick fortress that was built in 1866 and played in essential roles in the Civil War and Spanish-American War, once housing the largest collection of Civil War cannons in the United States. The park also features a well-maintained sandy beach with chairs, umbrellas and water sports rentals, picnic tables and a beachfront café complete with ice cream. Located off Mallory Square, the Key West Aquarium is one of Florida's oldest aquariums and the best place to get up and close and personal with sharks. Built between 1932 and 1934, the Key West Aquarium features many tanks housing seahorses, eels, lobster, and glowing jellyfish and visitors can touch and hold horseshoe crabs and conchs, sea cucumbers, and living starfish. The aquarium is also home to alligators, stingrays, and rescued sea turtles, and an open shark tank allows visitors to feed the sharks. The Sea Turtle Conservation exhibit features four sea turtles of four different species, namely Green Sea Turtle, Hawksbill, Kemp Ridley, and Loggerhead and offers tours that with the aim of educating the public how to protect turtles from harm. 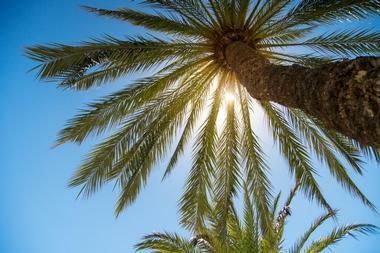 The Key West Butterfly Conservatory is wonder world of swirling butterflies, colorful birds, bright koi fish, pink flamingos and turtles that children will love. 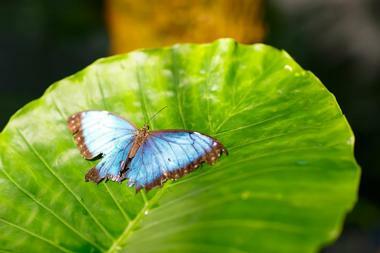 The conservatory is home to up to 2,000 live butterflies of 50 to 60 different species in a climate-controlled, glass-enclosed habitat and documents the life cycle and behavior of these beautiful creatures in an array of exhibits. The tropical indoor habitat features beautiful flowering plants, lush vegetation, and tumbling waterfalls, in which hundreds of butterflies and tropical birds reside. A glass-enclosed pupae room displays species-labeled cocoons, and a gift shop sells a variety of nature-themed games and puzzles for all ages. A Learning Center highlights feeding habits, anatomy, physiology and migration patterns of butterflies and visitors can get an up-close glimpse of a variety of live caterpillars as they feed and develop on their host plants. The Key West Lighthouse is a historic lighthouse in Key West that was built in 1825 and was used to warn ships of the hazardous reefs when entering the port for more than 120 years. The original tower of the lighthouse was 65 feet high, however, was destroyed in the Great Havana Hurricane of 1846. A new 50-foot tower was built two years later, and in 1894 twenty feet was added to the tower, placing the Fresnel lens light 100 feet above sea level. The Key West Lighthouse was decommissioned by the Coast Guard in 1969 and turned over to the Key West Arts and Historical Society, who now operates the lighthouse and the Keeper's Quarters Museum. The beautifully restored Key West Lighthouse and Keeper’s Quarters Museum is a historic landmark and a testament to the island’s maritime history. 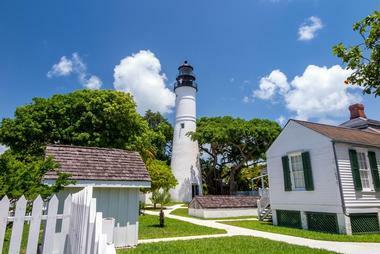 Visitors can climb the 88 steps to the top of the lighthouse for a breathtaking birds-eye-view of Key West. 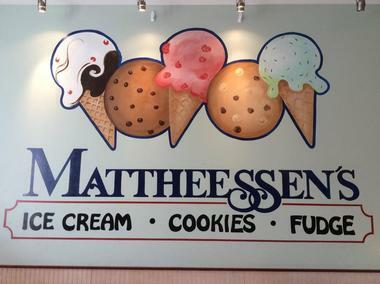 Mattheessen’s is a family-owned and operated café that serves a variety of homemade cookies, sweet chocolate-dipped key lime pie, marble slab fudge, and ice cream. The eatery offers 23 flavors of colorful homemade ice creams, including Toasted Coconut, Mint Chip, Rocky Rood, Turtle Crunch, Key Lime, Kahlua Almond Fudge, Butter Pecan, and Cuban Coffee, among others. Several types of cookies are sold, such as chocolate chip with pecans, pecans and macadamia nuts, peanut butter with chocolate fudge, oatmeal raisin, sugar cookies with sprinkles, M&Ms, and chocolate fudge, and white chocolate macadamia nut. Mattheessen’s has two locations on Duval Street and is open Monday through Sunday, year-round. The Key West Library, also known as The Key West May Hill Russell Library, is one of five branches in the Monroe County Library System and one of the oldest libraries in the state of Florida. 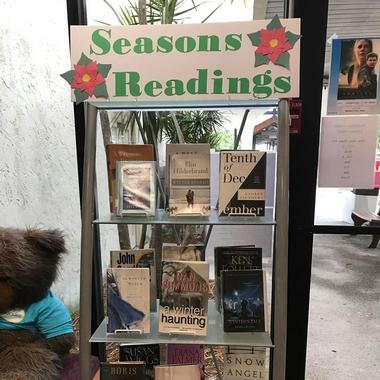 Serving more than a quarter of a million visitors annually, the library has been part of Key West island life for more than 50 years and has an extensive multimedia collection that includes over 190,000 books, magazines, and other media, and a renowned Florida History Room. Services include public computers with internet access, remote online services, reading groups, children's programs, film screenings, monthly book sales, seasonal lecture series and more. The Sheriff's Office Animal Farm is a family-friendly park that began as a haven for homeless animals and has since become a beautiful park with a reptile exhibit, a rabbit warren, a large aviary, a variety of farm animals and other domestic and exotic animal species. 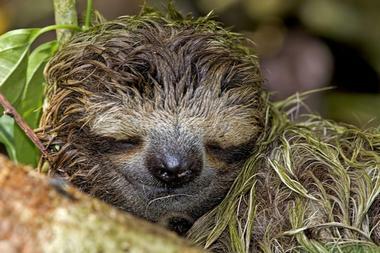 Traditional farm animals include chickens, pigs, goats and rabbits, miniature horses, and Angus the steer, while exotic animals range from Kelsey the Lemur, Mo the Sloth, and an albino python to one Kinkajou, several alpacas, peacocks, and many tropical birds. The animals are cared for by a crew of inmates from the nearby detention center who receive formal training in some aspects of animal husbandry which they could use once they are released. 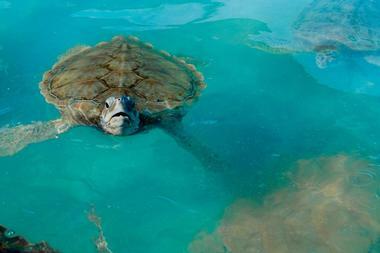 The Turtle Hospital is a small organization dedicated to the rehabilitation of endangered sea turtles. Established in 1986 to rehabilitate injured sea turtles and return them to their natural habitat, conduct research aiding to sea turtles, and educate the public through outreach programs. Located on the Overseas Highway in the Hidden Harbor Motel, The Turtle Hospital features 23 individual tanks, and a 100,000-gallon saltwater pool for rehabilitation purposes and several small tanks with mesh netting covers reserved for hatchlings to be treated. 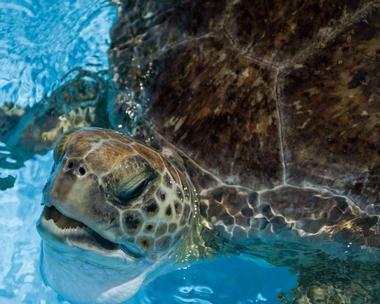 Visitors can enjoy 90-minute guided educational tours of the hospital facilities and the sea turtle rehabilitation area which includes a presentation on sea turtles as well as a behind-the-scenes look at the hospital facilities and rehabilitation area and feeding of a resident turtle. 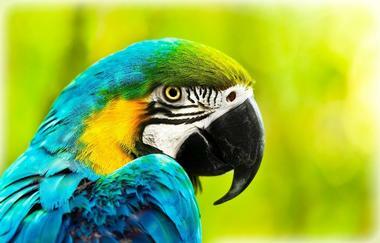 Nancy Forrester’s Secret Garden is a lush Key West sanctuary that is home to a plethora of rescued parrots. The magical, wondrous oasis was founded by environmental activist and educator, Nancy Forrester as a rescue and rehabilitation center for unwanted and abandoned parrots. The tropical jungle hideaway is full of leafy greenery that is home to an array of brightly colored avian residents that chatter, fly around and even talk. Guests can hold the birds, take photographs of uncaged birds, and enjoy daily presentations about the birds and their stories. A Secret Garden is home to several our magnificent and critically endangered South American macaws, and visitors are invited to bring picnic lunches along on their visit. © Ripley’s Believe It or Not! Ripley's Believe It or Not! is a world-renowned museum that displays kitsch oddities such as rare animal skeletons and shrunken human heads. Boasting over 10,000 square feet of space with over 13 themed air-conditioned galleries spanning three floors and over 550 exhibits and eclectic collections, the museum boasts strange artifacts and items like two-headed animals, authentic shrunken heads, and a 19th-century vampire killing kit. A man-eating shark greets visitors, and exhibits include a beautiful carving of a landscape made entirely out of camel bone, an eight-foot-tall pirate sculpture made from recycled car parts, and a vortex tunnel that throws walkers off balance. 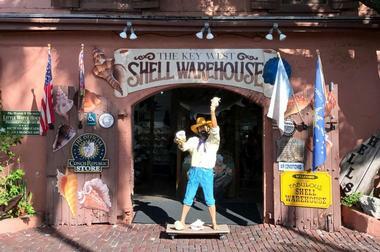 Set in the former Asa Tift’s 19th-century ice house in the heart of the Mallory Square shopping area, the Shell Warehouse is a historic marine-focused store that sells shells found in the Keys and others from around the world, as well as corals, jewelry made from shells, fossilized shark teeth, and sea-themed home furnishings. The extensive emporium also offers aquatic-themed toys, while adults can browse through a fantastic selection of preserved alligator goods, handmade jewelry, beautiful home décor, and sea life souvenirs. 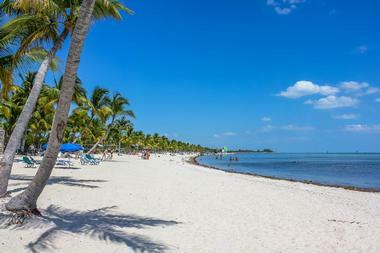 Located on the south side of the island, Smathers Beach is the largest public beach in Key West and offers a tranquil spot to escape the bustling crowds of Duvall Street and Mallory Square. The beach begins at mile marker zero, is lined with coconut trees and has a walking and biking path that runs the length of the beach and the Atlantic Ocean and offers beautiful scenic views. Well known for being popular with the Spring Break crowd, the beach offers an array of amenities, including volleyball courts, jet ski rentals, shower facilities, restrooms, and free parking. 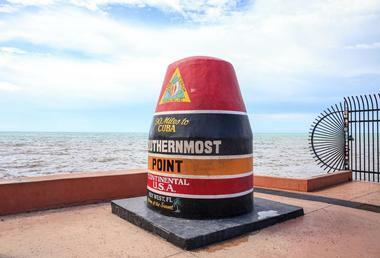 The Southernmost Point Buoy is a concrete buoy at the corner of South Street and Whitehead Street in Key West that marks the southernmost point in the continental United States. Situated 18 feet above sea level and one of Key West’s most iconic landmarks, the location was initially marked with a small sign before a larger painted buoy was erected in 1983 and today, is one of the most visited and photographed attractions in the country. The concrete buoy is also where the famous ‘90 miles to Cuba’ saying is posted and boasts breathtaking views of the Atlantic Ocean. The Gato Village Pocket Park is a small green community space that has a rich history and several interesting sculptures. Established in the late 1800s, the park was part of a community of 40 cigar makers’ cottages which were built by Eduardo Gato to attract the best cigar artisans to the Gato Cigar Factory at the height of the cigar manufacturing industry. The park features a representation of one the cottages that stood here in 1897 and a large cigar sculpture which is a monument to the men and women who made Key West the cigar capital of the world. This tiny neighborhood pocket consists of a four-foot wide gate, one bench, the replica of the cottage and the 12-foot tall, half-smoked Cuban cigar complete with a period-perfect gold band and smoke coming from the top. 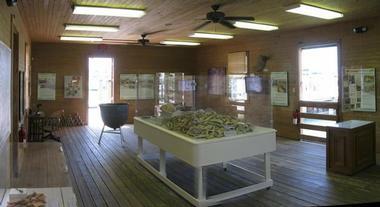 The Key West Shipwreck Museum is dedicated to telling the story of 400 years of shipwreck salvage in the Florida Keys. Based in a beautiful replica of a 19th-century warehouse built by wrecker tycoon Asa Tift complete with bounty and equipment, the part-museum, part theme-park attraction combines actors, films and actual artifacts to take visitors back in time to the era of treasure seekers, pirates, and shipwrecks. The museum features two floors of interactive exhibits that bring Key West’s colorful heritage to life, including actual artifacts from the 17th and 18th century, a 64-pound silver bar that visitors can try to lift, audio recordings, video presentations, and the 1985 discovery of the wreck of the Isaac Allerton, which yielded the highest salvage award in history. A 65-foot-tall observation tower can be climbed for spectacular views of the island and surrounding waters where ships met their final resting place. The Turtle Museum is a maritime museum that is dedicated to the conservation of turtles, preservation of their habitats, and educating the community about sea turtle awareness. Open seasonally; the Turtle Museum showcases the history of sea turtle fishing, the damage caused by over-fishing, and present-day conservation efforts to save the turtle from extinction. The museum aims to make a positive impact on the environment by promoting awareness through a variety of events and lectures, research studies, tagging and more and hosts local conservation and wildlife groups that visitors can meet to learn more about the conservation of these beautiful creatures. 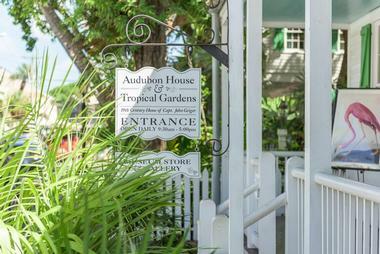 The Audubon House & Tropical Gardens is a historical property on Whitehead Street in Key West that was once the grand home of a mastership wrecker and renowned maritime boat pilot. Taking guests back in time to mid-19th century Key West, the mansion was built in the 1840s by Captain John Huling Geiger as a residence for his family, who lived there for more than a century. Pegged for destruction in 1958, the Geiger mansion was saved by the nonprofit educational organization known as the Mitchell Wolfson Family Foundation, lovingly restored to its former glory and open to the public. Today, the magnificent home reflects the elegance and grandeur enjoyed by the wealthy family in Key West during flourishing times of the ship-wrecking industry. Audubon House and Tropical Gardens is located Whitehead Street in Key West and is open to the public from Monday through Sunday between 9:30 am and 4:15 pm. The Museum Gallery and Gift Shop are open from 9:30 am to 5:00 pm. The Harry S Truman Little White House is famous for being the winter White House for President Harry S Truman who visited Key West 11 times and stayed for more than 175 days. Located in the Truman Annex neighborhood of Old Town in Key West, the house was designed by Scott, McDermott & Higgs and built in 1890 as officer's quarters on the submarine base naval station. The wooden duplex house was converted into a single-family dwelling in 1911 and was visited by the first President, William Howard Taft in 1912 and later by President Harry S Truman. The house was listed on the National Register of Historic Places in 1974 and was opened as a state historic site and museum in 1991 and can be explored on regular guided tours where visitors can experience how Truman lived. Glazed Donuts is a casual café that serves an array of creative and gourmet donuts and locally roasted coffee in a relaxed space with industrial-style, robotic décor. 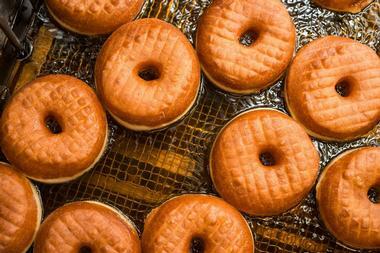 The family-friendly café serves hand-rolled donuts in a variety of flavors, including salted caramel cake, cinnamon sugar, blood orange bullseye, and chocolate lovers. The delicious donuts are served with freshly brewed coffee from local roasters for breakfast and lunch, Tuesday through Sunday. 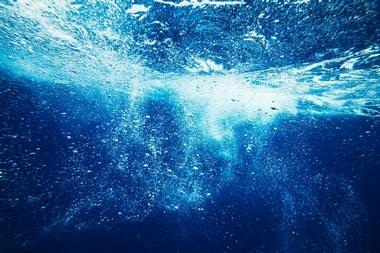 Experience the stunning array of tropical marine life beneath the surface of the waters of Key West on a 65-foot, state-of-the-art catamaran glass bottom boat. The modern catamaran has an air-conditioned viewing area, two observation hulls, a spacious seated sundeck, and modern restrooms to ensure absolute comfort during the cruise. The boat also features special glass windows on the bottom and sides that provide unfettered and continuous viewing for all passengers, and cruises are led by expert tour guides who share valuable information about North America’s only living coral reef and its incredible inhabitants. 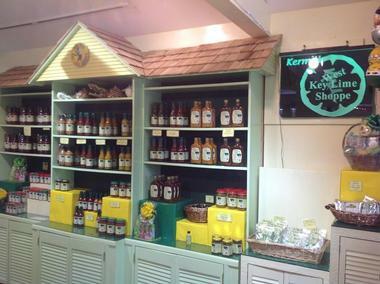 Kermit's Key West Key Lime Shoppe was established by Kermit Carpenter over 26 years ago and sells a wide variety of Key Lime-based products. Located at the corner of Elizabeth and Green Streets on the historic Key West Bight in Old Town, the original Kermit's Key West Key Lime Shoppe was opened over 25 years ago features a shaded rainforest patio, a tranquil koi pond and complimentary wireless Internet, as well as Kermit's Cafe Kitchen, which serves breakfast, lunch and light dinner. The franchise also has two other locations at the corner of Front and Duval Streets, and a kitchen and production facility on Patterson Avenue in DeLand. Ripley’s Believe It or Not, Photo: Ripley’s Believe It or Not!